iPhone X when launched came with a lot of changes. The software and the hardware, display and many other things went through a drastic change. One of the biggest change was omission of home button. Earlier, home button functioned as a fingerprint scanner. With iPhone X, Apple introduced Face ID, which is said to be a more secure biometric security system. The Face ID uses the truth depth camera which captures your face data by projecting and analyzing over 30,000 invisible dots to create a depth map on your face and along with it captures an infrared image of your face. If you get the emergency screen or when you try to turn off your iPhone X. When you reboot your phone. In case you have not used Face ID in over 48 hours to unlock your iPhone X. 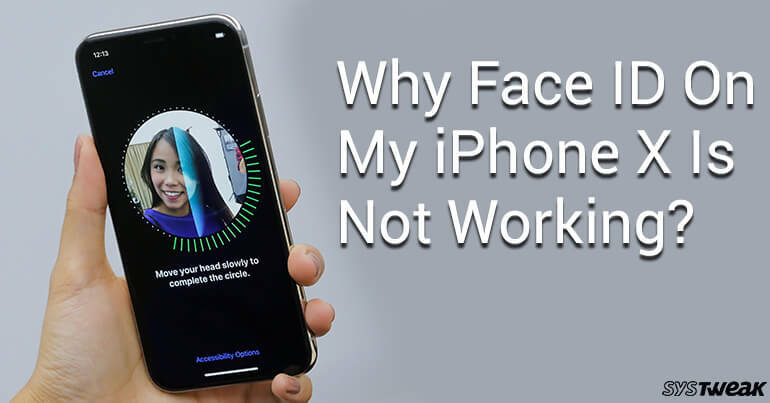 If there are five failed attempts to unlock your device using the Face ID. If you haven’t used Passcode to unlock your iPhone X at all in in six and a half days and if you haven’t used Face ID to unlock your device in 4 hours. Unlock your iPhone X by using Pin or Password and then again lock your device. Now, try to unlock your device by using Face ID. It will start working again. Unlock your iPhone and locate Settings on Home Screen. Look for Face ID and Passcode. Now, you need to tap on Use Face ID. In this way, you can disable Face ID on your iPhone X. If you are a diehard iPhone fan, then you must remember the time Touch ID was first launched. People were concerned about privacy and security. Same thing is happening with iPhone X. People have their doubts and it might take time to wrap your head around this new technology and its boundations. What do you think about Face ID? Toss up your valuable comments below.